On Windows systems, SSL certificates are packaged in a Public-Key Cryptography Standards (PKCS) archive file with extension .pfx. You need to export the .pfx file and convert the contents to the Artica compatible format. 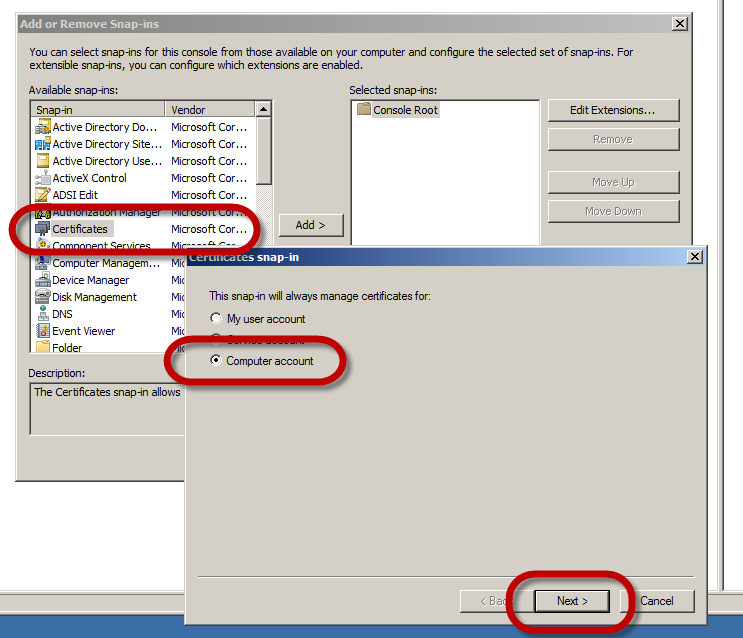 Select your computer certificate and do the right-click All Tasks, Export.. 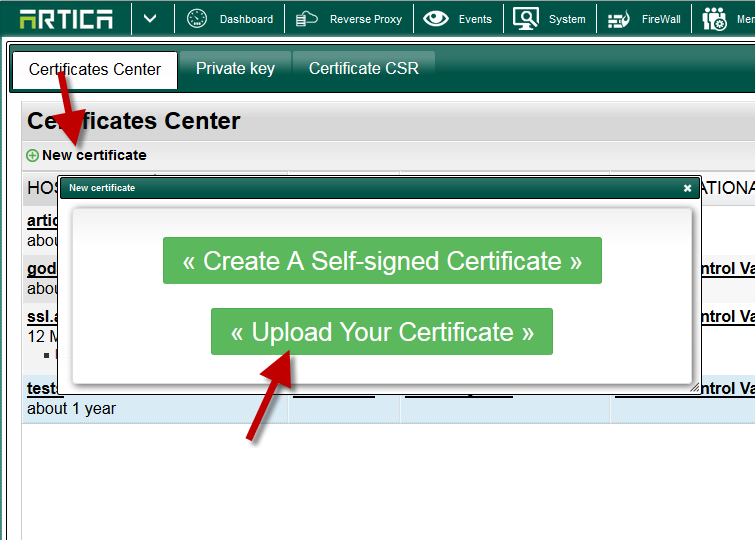 In the Certificate Export Wizard window that pops up, click Yes, export the private key !important. This option appears only if the private key is marked as exportable and you have access to it. 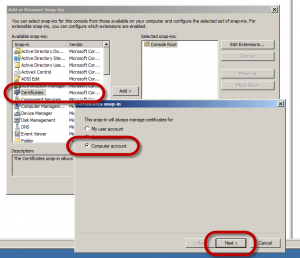 If you cannot export the private key, please refer to the “Cannot export the private key from my Windows server” article. If prompted for a password (used to encrypt the private key before export), type it in the Password and Confirm fields. Remember the password, as you need to provide it when importing the certificate to Artica. 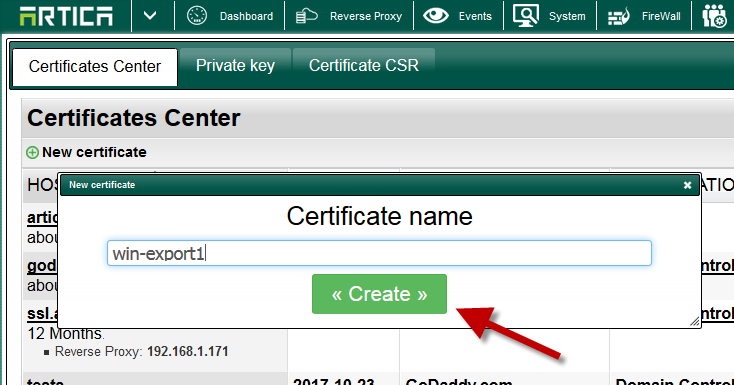 In File name field, type the filename and path to the location for storing the exported certificate and private key. Click on Import a PFX container. Set the password used for export the pfx file.